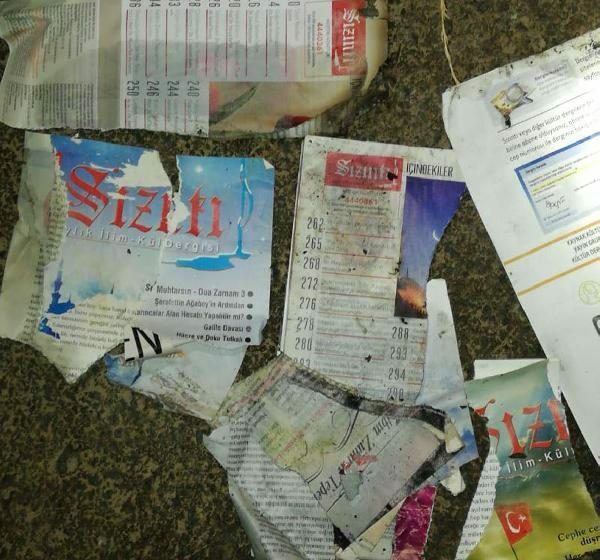 An Antalya woman, identified as R.Y., was detained while she was burning copies of Sizinti magazine, media reported. Police has long been watching R.Y., a housewife who was earlier investigated for allegedly making propaganda on behalf of the Gulen movement. When she attempted to destroy some copies of Sizinti magazine near her home, police rounded her up, Hurriyet said June 8. Turkish government accuses Gulen movement of attempting a military coup on July 15, 2016 while the group denies involvement. More than 160,000 people have passed through Gulen links so far and dozens of newspapers and magazines were shut down. Many people have been caught while trying to get rid of any material, among them books, CDs and magazines, published by those gov’t-banned media outlets as possession of such items were considered affiliation to Gulenists.